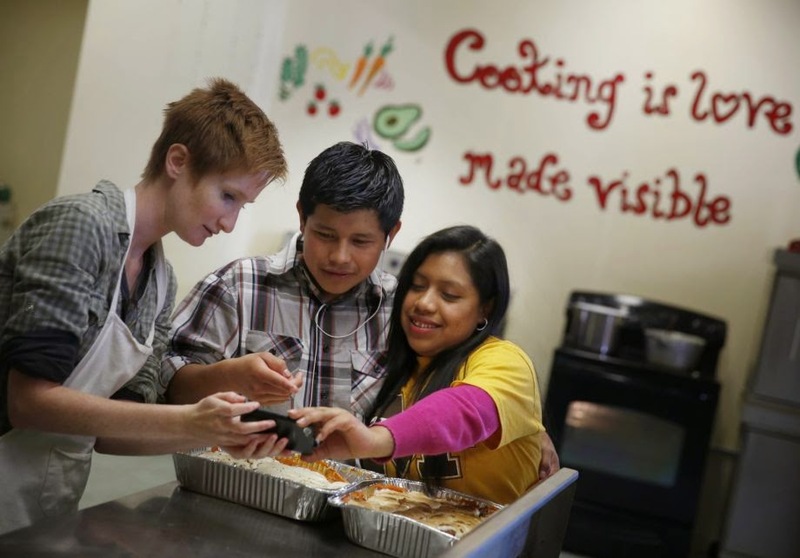 Teens who fled peril for U.S. get 1st Thanksgiving feast in S.F. dish for a Thanksgiving meal for new arrivals at S.F.’s Mission High School. It took 17-year-old Yancarlos Santos Lopez three months to get to America, riding on top of trains, sleeping when and where he could, risking his life to escape an even more dangerous existence in Honduras, where he said gangs either killed boys or recruited them. He arrived in San Francisco in September — following 40 days in a Texas detention facility — and for the first time in more than four years, he went to school. At Mission High School, he’s learning how to learn again, how to speak English, and on Tuesday, how to make a traditional Thanksgiving dinner, his first ever. In the school’s industrial kitchen, he and several other students put on aprons, got a turkey in the oven, then prepared mashed potatoes, gravy, stuffing, sweet potatoes covered in marshmallows, and an apple pie. Most of the students are among the surge of unaccompanied minors who have come to the United States from Central America in the past year. They all have a harrowing tale of how they got here — and why they risked the journey. More than 57,000 children have been detained at the U.S.-Mexico border since October. Most are being placed in California, Texas, Florida or New York. The vast majority of these children come from Honduras, Guatemala and El Salvador, where gang violence and poverty offer little hope for the future, especially for the boys.